Focuses on each aspect of the JLPT test: moji (characters), goi (vocabulary), bunnpou (grammar), chyoukai(listening comprehension), dokkai(reading comprehension). With drills, practice tests, a CD full of listening drills and just general good advice, you'll be one step closer to passing the JLPT. This book series was updated for the newest edition of the JLPT (N), so all the information is relevant to the modern test. This book focuses on the JLPT N4 test. This is the Genki II Second Edition textbook, a complete approach to learning Japanese. Divided into ten chapters that continue where the last book left off, you get everything with this series: sample conversations, vocabulary, kanji, easy to understand explanation of grammar that's really outstanding. It comes with all the audio for the listening practice sections on an included MP3 CD-ROM. 380 pages. This is the Genki II Second Edition answer key, which provides clear, concise answers to all the questions and quizzes in the textbook and workbook. 75 pages. For students of Japanese who want another way to increase their kanji skills, or for those who just want a good way to practice, here is a kanji workbook to get you up to speed starting from the Japanese second grade school level. This workbook takes you through step-by-step exercises that give you writing practice for the basic kanji characters learned by lower level Japanese elementary school students, with basic-use words that are probably familiar to second or third level Japanese language learners who can already read Hiragana. Includes writing exercises and quizzes with an answer key. 64 pages. Great for studying the JLPT (Japanese Language Proficiency Test). For students of Japanese who want another way to increase their kanji skills, or for those who just want a good way to practice, here is a kanji workbook to get you up to speed starting from the Japanese first grade school level. This workbook takes you through step-by-step exercises that give you writing practice for the basic kanji characters learned by lower level Japanese elementary school students, with basic-use words that are probably familiar to second or third level Japanese language learners who can already read Hiragana. Includes writing exercises and quizzes with an answer key. 64 pages. Great for studying the JLPT (Japanese Language Proficiency Test). For those learning intermediate Kanji, it could be quite difficult as there are so many characters that one might not know where to start. This book aims to teach you 1000 intermediate Kanji that are used in everyday life. It has everything you need to learn such as the On & Kun readings, order strokes, reading & writing exercises and more. After finishing this book, you will be able to read and write 1000 intermediate Kanji. A must have for those studying Japanese. This is volume 2. J-List sells a lot of Japanese textbooks and study materials to help those who want to learn Japanese. Here is a new textbook for you to level up your Japanese in order to tackle the Japanese Language Proficiency Test. The book contains all the grammar structures, reading and listening practice that you will need to further improve your Japanese with all the essential explanations you need to understand them to the best. The book includes some romaji, that is, Romanized Japanese text as well as the original hiragana, katakana and kanji, to help you read. Includes an audio CD inside the book. This book is for the Intermediate N3 difficulty. A great new tool for anyone aspiring to study Japanese, this is a totally revised and updated set of high-quality laminated study cards that feature all the kanji you need to master for the Japanese Proficiency Test, levels N5 & N4, the first two levels that students of Japanese should attempt. A meticulously researched set of die-cut cards, you get 103 introductory and 181 intermediate cards. The double-sided flashcards each feature 6 kanji compound words for more than 1700 vocabulary words, all readings for each kanji, and a writing guide to allow to you learn to write each kanji in the correct stroke order. The cards are printed on 12 point Caroline card stock with rounded corners for increased durability. Importantly, all Japanese words are written in hiragana and katakana, without any romanized Japanese words -- the recommended way to master reading Japanese. The cards also come with a high-quality reference card for hiragana and katakana and an index. Comes with high-quality two-part box with plastic tray, that allows you to separate the sets of cards. This new set has been updated, with improved card designs and a thicker, baked-on UV finish for longer life, the addition of radicals on kanji cards, and other improvements. This is the series 3 edition, by White Rabbit. Great for studying the JLPT (Japanese Language Proficiency Test). When you're not from a country that uses Kanji characters, nothing seems more difficult than learning how to read and write Chinese characters. However, it's not hard at all if you approach it the right way. This is an outstanding book that helps you form connections in your brain that make it easy to learn to read Kanji characters. For example, understanding that the character for "person" looks like a person, and the character for "stop" looks like a policeman holding a stop sign. Best of all, this book features translations for English, Chinese, Indonesian, and Vietnamese. So you can use it without a teacher! The answers to the test problems are also included at the back of the book. 180 pages total. This is a great book that goes over the entire history of otaku culture during the Heisei Period (1989-2018): how it took hold in Akihabara, creating new industries like cosplay and maid cafes and model builders, how it was shaped by the rise of history and the arrival of the Internet, how 2ch and later 4chan came about, how funding for anime started coming from unexpected places (like WOWOW, then later Netflix and Amazon), the games and characters we all loved during the Heisei Period, the influence Vocaloid had on fan-created culture and music, and more. This book is great, loaded with information that's fun to explore and learn about. 126 pages. Japanese language only. This is a great new Japanese textbook series called Nihongo Koredake (The Only Book You Need for Learning Japanese), which is a great place to start learning Japanese. Vol. 1 in Japanese, and features romaji (Romanized Japanese) for people who can't yet read the hiragana, katakana and kanji. Parts of the books also explain in Korean and Chinese, but not all. The book is organized into logical chapters, like around town, parts of the body, relationships, and the pictures make everything fun and easy to learn. The book includes a plastic shitajiki (pencil board) with Japanese language references. 96 pages. Mastering the basics of the Japanese writing system is essential to success in learning the language. The two basic writing forms of Japanese are Hiragana and Katakana which are phonetic symbols and often referred to as kana as a group. Learning kana is not only important to be able to read and write the Japanese language, but it is also important in order to proceed to advance levels of study. White Rabbit Press' top-selling Japanese Kana Flashcards have helped thousands of Japanese language learners, in as many as 23 countries, master Japanese kanji, and now come to you in a basic Kana flash card set, specifically designed for the very beginner in mind. For just a few cents per card, the meticulously designed and researched cards save you countless hours by bringing together all the information you need to master Japanese kana in a convenient flashcard format to make study and drills as efficient as possible. Master hiragana and katakana with visual mnemonics, learn 450 basic Japanese vocabulary words, learn to write kana with stroke by stroke diagrams and more. Cards are poker-size, 3.5" x 2.5" (8.89 cm x 6.35 cm), printed on UV coated card stock with rounded-corners for increased durability. 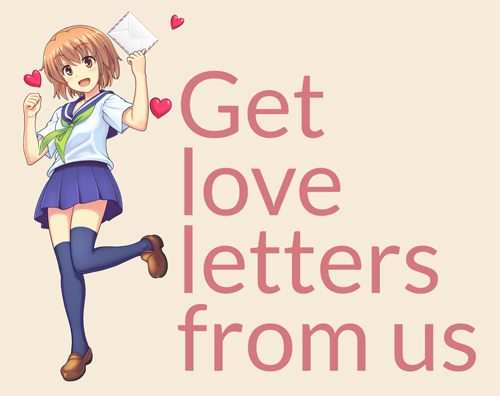 If you want to learn Japanese, J-List can help! This is a new series of Japanese study books which help you prepare for the JLPT with 500 helpful questions to solve. It's a great way to quiz yourself and study! It's great because English translation (and Chinese, and Korean) is included for you. This book is for students wanting to pass the level N4-N5 test (the easiest levels), and it covers tons of grammar, correct word usage and reading of kanji. This bilingual book is a great study aid for those looking to expand their Japanese vocabulary while also learning about the history and culture of Japan. Learn useful ninja phrases like katon no jutsu (escape by using a fire distraction), describe the steps of the sadoo (Japanese Tea Ceremony), learn the names of heroes in Japanese history, and discover the variety of foods that can be found in Japan -- all written in both English and Japanese. 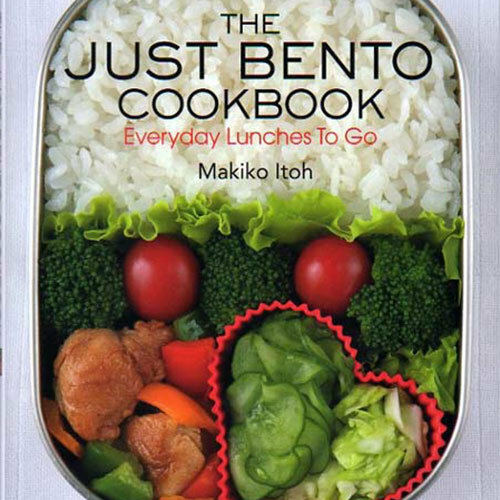 A great new book from the creators of the Genki textbook series! This book will introduce you to the first 512 kanji you will need to know to start your way onto Japanese fluency, in an easy to understand illustration and mnemonic learning style. Each section is divided into 16 kanji to learn, split into subsections of 8 kanji each. With a total of 32 different lessons to work through, this is an excellent guide that will help you get your foot in the door of mastering one of the most difficult written languages in the world. 244 pages. From The Japan Times.